During my visit to Blue Spring State Park, I had seen a few manatees on land but, from a far. After that, I had been curious about seeing more about manatees. Making plans over the summer, I had purchased a groupon for “Swim with Manatees on Crystal River.” Converting this groupon had probably been one of the coolest things this year. Our captain, Casey, had taken our tour group on a three hour troll of Crystal River basin. Once in the water, he had taken us within inches of manatees. What I had not known manatees’ sleeping habits. As mammals, while unconscious, they had surfaced every few minutes to breath. This had enabled our group to get within feet for viewing. At first, this had been disconcerting with the river current pushing me directly over the large tail. Fortunately, this peaceful river dweller had hardly noticed our presence. 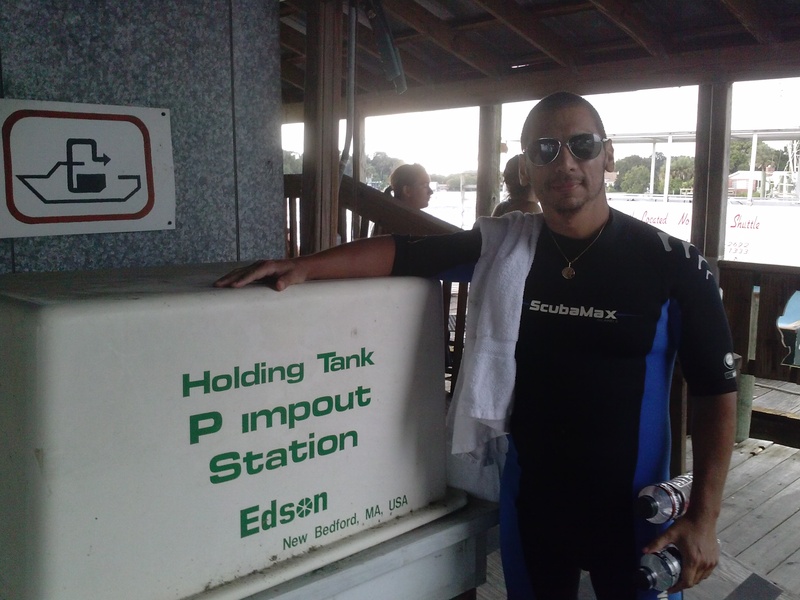 Additionally, I had been under the false impression manatee travelling speed being only slow. Upon entering the water on our second encounter, one of the manatees had jetted across the river to another boat. Another fact that our captain had told us, the non-monogamous nature (i.e free love) of these animals. 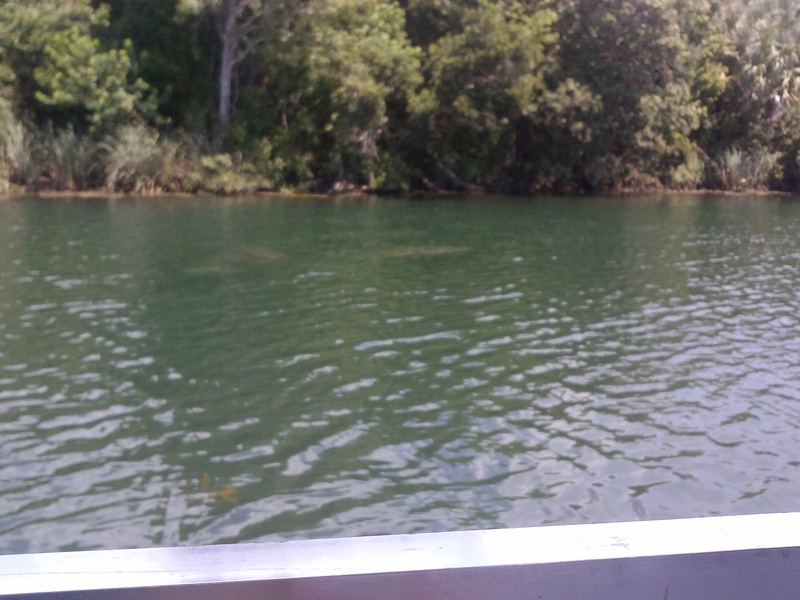 In total, our tour had seen five manatees. Of those, I had the opportunity to touch one of the larger ones. Mimicking wet leather, the texture of the skin had been soft but, dense. During the colder winter months, these creatures had a migration pattern moving back to spring water’s constant temperature of 72 degrees Fahrenheit. This had been the reason for a high density of manatees in Crystal River and Blue Springs. Along the way, the tour had experienced another unexpected sight, tarpon. Behind two different piers, fisherman had been throwing scrapes into the waters. With the tarpon so active in feeding, I had decided to put my hand into the water as bait. One of the fish had jumped at it. Thankfully, I had all my fingers despite the hunger from this toothless monstrosity. One of the fisherman had offered me a piece of scrap for teasing the surface. Breaking about 4 inches into the water, the tarpon had violently pulled the fish carcass away. With about 20 total, each tarpon had at least been 4.5 feet in length. For just three hours driving around in the boat on Crystal River, this had been a great value. Tossing in the tarpon and manatees for $20, it had been priceless. Currently, you had still been able to get a discounted rate through groupon. If you had known anyone with a love for nature, strongly suggest checking it out. This entry was posted in Central Florida, Travel and tagged Crystal River, Feeding Tarpon, Florida, Manatees. Bookmark the permalink.